Monopitch romaji-encoded Japanese CV voicebank with VV transitions for fluidity. 3-pitch kana-encoded CVVC voicebank with in-built Soft (弱) and Power (強) appends, as well as a Whisper (囁) CV voicebank. Use the respective suffixes to get the desired sound. 3-pitch VCV voicebank encoded in kana with in-built Soft (弱, monopitch) and Power (強) appends, as well as glottal stop (門) vowel transitions. Monopitch Korean voicebank with a CV base and VC endings for closed syllables only, as well as VV transitions. Hanami is a loving person who likes to take care of the people she holds dearly. 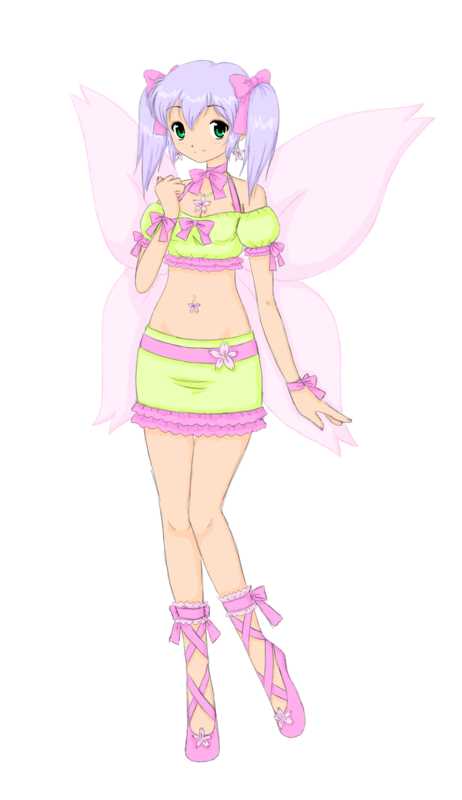 She loves using fairy magic to clean the house and tend the garden, as well as heal others when they're sick. She also loves to cook and bake and do group activities with her friends.